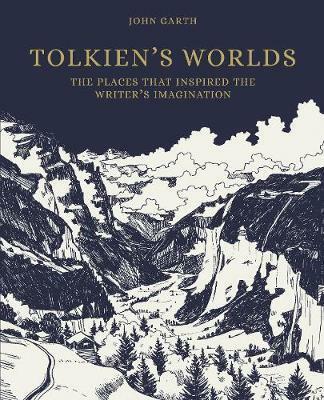 This book takes you to the places that inspired J. R. R. Tolkien to create his fictional locations in The Lord of the Rings, The Hobbit, and other classic works. Written by renowned Tolkien expert John Garth and prepared with the full cooperation of the Tolkien estate, Tolkien's Worlds features a wealth of breathtaking illustrations, including Tolkien's own drawings, contributions from other artists, rare archival images, and spectacular color photos of contemporary locations across Britain and beyond, from the battlefields of World War I to Africa. Garth identifies the locales that served as the basis for Hobbiton, the elven valley of Rivendell, the Glittering Caves of Helm's Deep, and many other settings in Middle-earth, from mountains and forests to rivers, lakes, and shorelands. He reveals the rich interplay between Tolkien's personal travels, his wide reading, and his deep scholarship as an Oxford don. Garth draws on his own profound knowledge of Tolkien's life and work to shed light on the extraordinary processes of invention behind Tolkien's works of fantasy. He also debunks popular misconceptions about the inspirations for Middle-earth and puts forward strong new claims of his own. An illustrated journey into the life and imagination of one of the world's best-loved authors, Tolkien's Worlds provides a unique exploration of the relationship between the real and the fantastical and is an essential companion for anyone who wants to follow in Tolkien's footsteps. Illustrations note 100 color illus.